In the unique world of art toys, nothing exemplifies its artistic elements quite like a masterfully hand-crafted, original, one-of-a-kind custom. One of the most creative, consistent and respected talents in the vinyl community is Brazilian artist, designer and customizer, Sergio Mancini. Sergio pursues his daily hustle & grind as a freelance designer and continues pumping out a steady stream of stellar art toys on many different platforms. 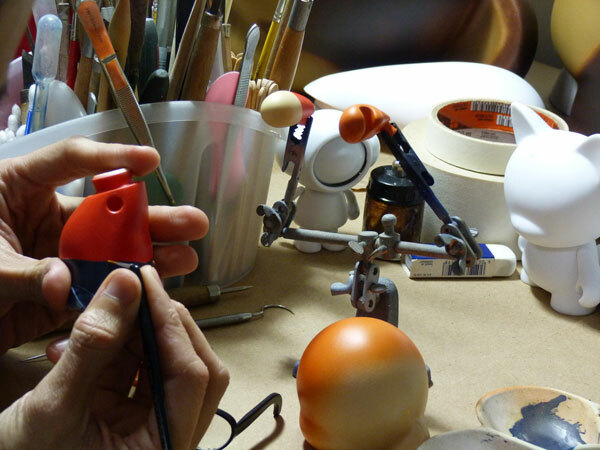 I recently linked up with Sergio for a peek behind the curtain into the life of this dedicated customizer and emerging toy designer. WB: What’s up Sergio! How’s it going? WB: I’m getting pumped! Glad to grab you this morning so we can chat a bit about your creative little universe. SM: Hahaha! The pleasure is mine. 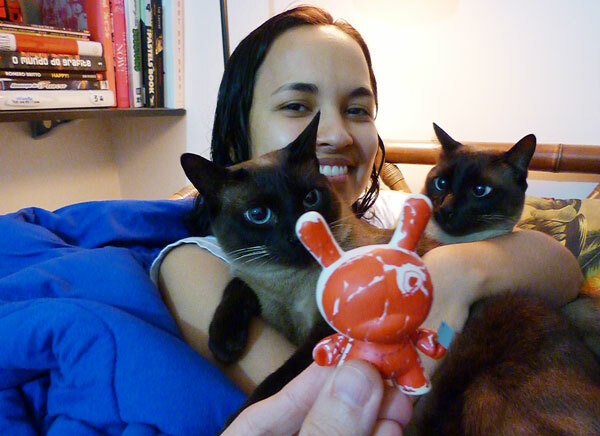 WB: I really want to start off by congratulating you again on winning the MUNNYWORLD MEGACONTEST! For real!! 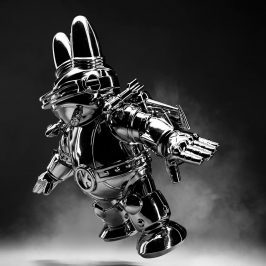 I can’t wait to get a production Dunny by you. SM: Thank you! I’m still very happy about that! WB: But let’s back up though and give a little background to where you’re coming from. Where are you from exactly? SM: I’m from Sao Paulo, Brazil, but I live most of the time on a beach near here. WB: Sounds super inspiring. Can you tell me a little about the Red Mutuca Studios? SM: Well, the idea came up in 2009. 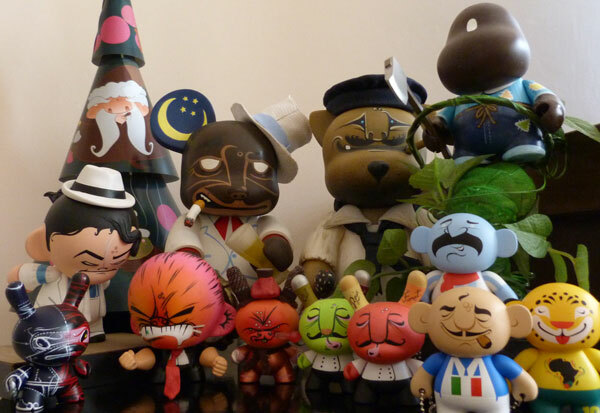 Red Mutuca Studios was created in order to join forces and enter the world of art toys in an organized and focused way, with benefits for each member. Initially it was formed only by the Brazilian crew (Igor Ventura, Luihz Unreal and I). Today we already have the talented Matucha (Mexico), RunDMB (UK) and Tim Munz (Germany). Igor and I made decisions about the projects and discussed with other members. However, each one is free to enter or not in projects, and each is free to work with their own particular projects, of course. WB: What does Red Mutuca mean? 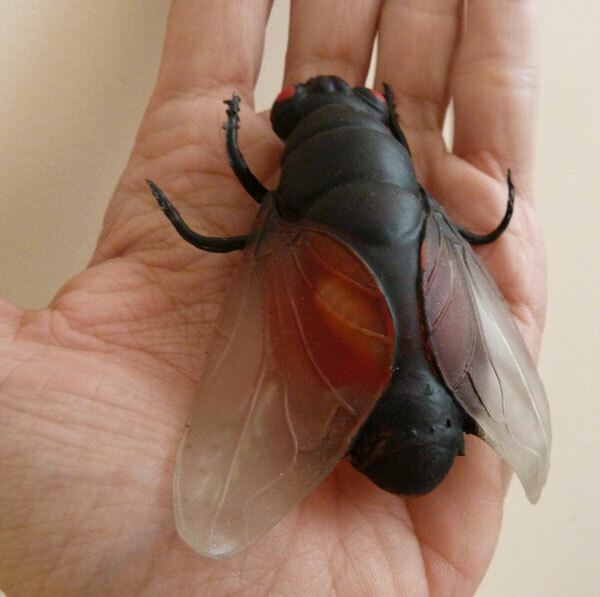 SM: “Mutuca” is the brazilian name for a horsefly. We wanted a name that would be funny and unusual and with a character who could become any toy or product. We chose the horsefly because it is annoying and loves sucking the blood of horses. Maybe that’s why it is red! WB: Hahahaha, that’s pretty interesting. Any time we can expect to see a Red Mutuca mascot in full vinyl glory? WB: Kickstarter could do the trick. I’m sure there is a ton of fans in the community to support the project. WB: What’s the perspective like as a customizer coming from Brazil. Is the scene pretty big in your part of the world? 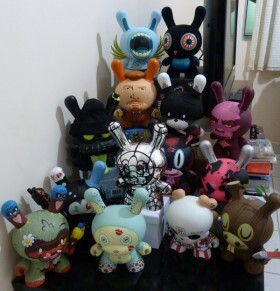 SM: Unfortunately, in Brazil, the art toy movement isn’t as widespread as we would like it to be. There was a time when there was even some events, but today it’s practically zero. One cause of this is probably the very high import tax policies, which scares consumers. Only those with high buying power and the lovers spend some money on art toys. 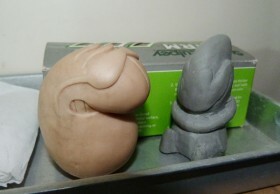 Concerning the artists, there are very few who venture into the world of art toys. We have great illustrators and graffiti artists, but most of them focus on their own activities. I am better known abroad than in my own country. 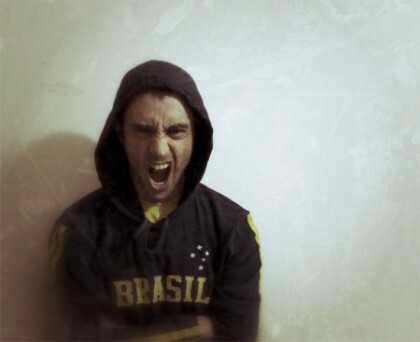 WB: Who would you say is your favorite graffiti/street artist in Brazil? SM: We have many talented graffiti artists known internationally. My favorites are Calma, Nunca and Os Gemeos. WB: Do you ever get up in the neighborhoods or are you stuck in the studio for the most part? WB: What’s a normal routine for a day in the life of Sergio Mancini? SM: My schedule is not regular (I need to fix it). Depending on the time I go to sleep, I wake up too late, or I get sleepy all day long, Ahahahaha. But every morning I am awakened by my cats begging for food. 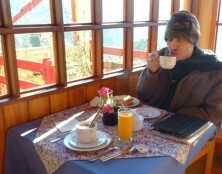 After satisfying their hunger, I prepare my espresso, I choose the issues for the day (there are usually many of them). It is not unusual for me not to have lunch and eat everything at once in the evening. WB: I feel ya. You never know when the creative bug is gonna bite you. Or in this case a horsefly. Hahaha! So you have two cats, and what are their names? WB: Nice, it’s great to have a pair of furry friends to keep you company while you work. 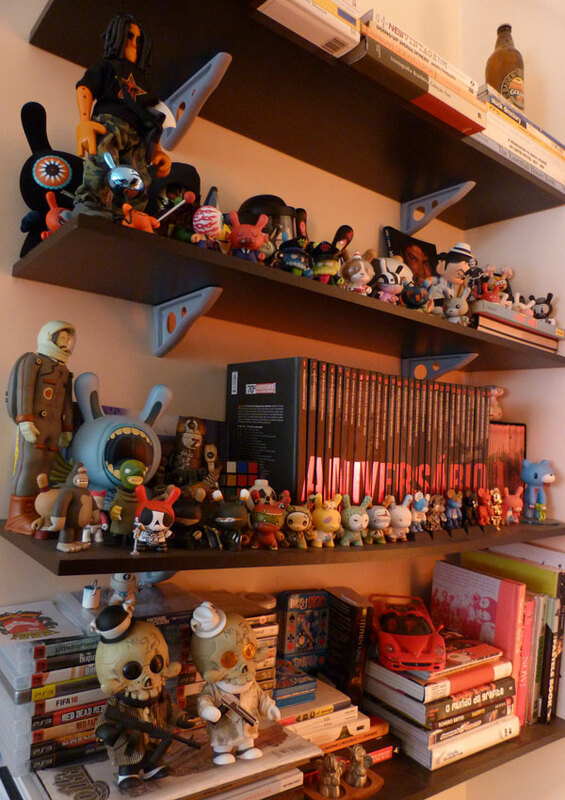 What was your initial reaction to winning the MUNNYWORLD MEGACONTEST? I mean, WOW, the competition was pretty intense. SM: VERY! To be honest, I didn’t have much hope in winning, because I’ve never had luck with any contest so I sold the toy for a collector before the result. At the day of the announcement, I was busy with other tasks, when Igor gave me the news by email. I didn’t believe it at first … I thought, maybe, I had won in any category, but not the first prize. When I saw the contest page and saw it was all true, I started trembling with excitement! That couldn’t have happened to me! Suddenly it started to rain hundreds of emails congratulating me for the achievement … it was amazing. My first toy was a Dunny (Azteca Cactus) and that was when I fell in love with art toys. 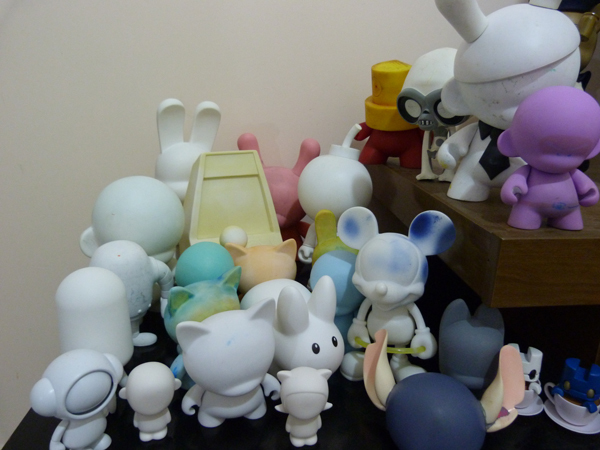 I know some artists have a good amount of toys and other Dunnys produced, and perhaps it’s very common for them. But for me it was like I had won an Oscar. WB: Our judges had a very difficult time deciding too. Could you explain your inspiration behind the winning design. SM: I would also, there were many fine customs. The funny thing is that this was my third option, and I just did it because I found a lost Munny in my mess.. As the deadline was approaching, I thought of something simple (without accessories), but with some concept. I examined the toy in my hands and thought: “How did they conceive it and got to the final design of the toy?” Certainly, they thought about doing a monkey that could be customized, but to produce it industrially, a project would be needed. Then the idea of the designer dreaming of a project becoming a 3D object came to my mind. Something like that Escher drawing of the hand coming out of the paper. WB: That simplicity, I feel was one of the deciding winning factors. Especially when it comes to production time. It is almost more difficult to customize the platform while staying true to that platform. WB: Other than toys, what other things do you like to collect? SM: If I collected everything I ever wanted, I would go bankrupt. The only collection I have, except for the toys, is some banknotes from various countries. WB: That’s cool! Are they from countries you have visited? SM: No, I never left here! But I hope to visit each of them one day! WB: What is your favorite toy in your toy collection? SM: It’s a hard question! I like most of my toys, since I only buy the ones I really like. I am particularly fond of my Squadt Brandt Peters, dunny Warhead, Deph’s Big Mouth, David Flores’ Bad, Dievas and Huck’s Skullhead. WB: Do you have any hopes or plans for a Red Mutuca tour rolling through the U.S. anytime soon? SM: We intend to be present at the next SDCC. WB: Oh yeah!! That would be amazing. I’ll have my future Sergio Mancini Dunny signed. WB: Do you have any top secret projects in the works you might be able to tell us about? SM: It’s on my schedule for collaborative customs with my friends Chauskoskis, Gary Ham, The Beast Brothers, and of course with each one of the Red Mutuca crew. 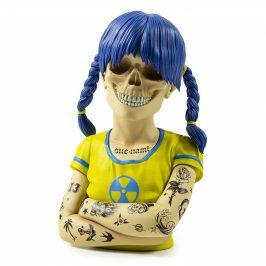 A resin toy or vinyl is not discarded, but it all depends on time and especially $$$. 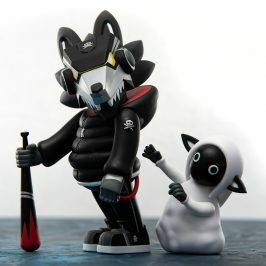 WB: Those custom collaborations sound sick! SM: Sure, they are all amazing artists! WB: If you could collaborate with any artist ever, who would it be? WB: Your designs from the Most Wanted Custom Series 1 and 2 were incredible. Will you and the Red Mutuca team be contributing to that project again this year? SM: Yeahh… all of us! and I can say that the designs are sick! 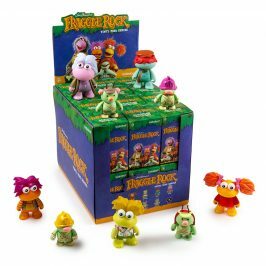 WB: Those series are almost just as highly anticipated as a production Dunny series. 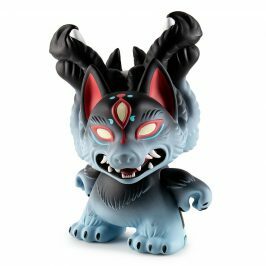 What would be your advice to up and coming customizers as they join the vinyl community and prepare for next year’s MUNNY Contest? 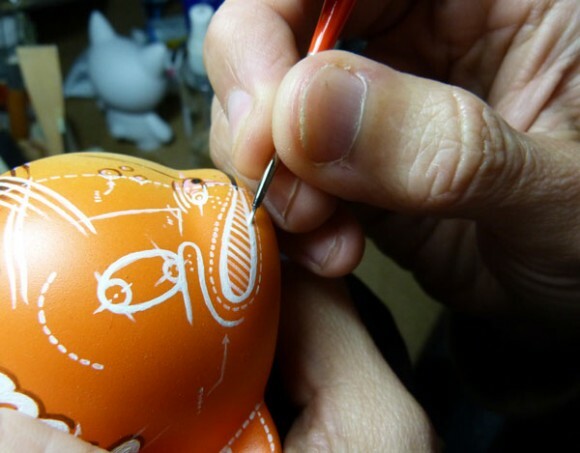 SM: Munny is a platform that offers many customization options. My only advice is to research if anyone has done something similar. Originality is all. WB: Which in the art world, is one of the hardest things to do. SM: Yeah, i know. Or maybe do a great redesign. 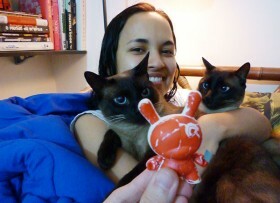 SM: hahaha Thanks a bunch Ryan and to everyone at Kidrobot!!! I’ll see you in 2012. If you haven’t already, do yourself a favor and check out more of Sergio’s amazing work on the Red Mutuca website. 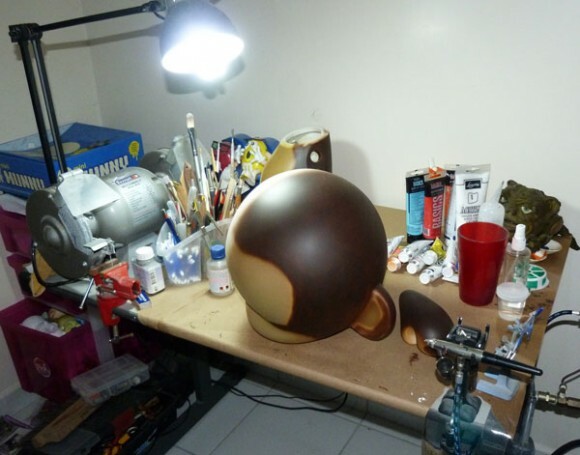 For the latest and greatest custom creations, you can also follow him on Twitter and Instagram, @sergiomancini. 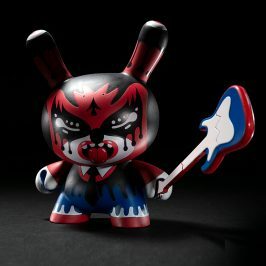 And all you Dunny collectors, be sure to keep an eye open for Sergio’s winning design in next year’s Dunny Series 2012.